During the territorial period, the county was home to the Creek and Cherokee Indians. In 1813, the county was the site of one of the first battles of the Creek War of 1813-1814 when Gen. Andrew Jackson ordered Gen. John Coffee to destroy the Creek town of Tallasseehatchee, located in the present-day community of Alexandria. Calhoun County was created by legislative act on December 18, 1832. The county was initially named Benton County in honor of Missouri senator Thomas Hart Benton, an arch defender of westward expansion and slavery. After Benton declared himself an opponent of slavery in the 1850s, Alabama supporters of slavery voted to change the county’s name to Calhoun in honor of radical secessionist John C. Calhoun. In 1917, the U.S. War Department established Camp McClellan to train soldiers for World War I. In 1929, the army changed the name to Fort McClellan, and in 1940 the first of approximately 500,000 World War II soldiers arrived for training. In addition to Fort McClellan, the War Department also added the Anniston Army Depot in 1940. Calhoun county lies within the domain of the Creek Indians. It was traversed by De Soto in 1540 on his way to Cosa. Three miles southwest of Jacksonville on Tallasseehatchee Creek was the town of Tallasseehatchee, where General Coffee defeated the Creeks, November 3, 1813. About 12 miles south of Jacksonville on the north side of Big Shoal Creek, in the vicinity of Wolfskull Creek on the south was Chinnaby’s Fort, and some three miles below it, on the same side of the creek was an Indian village, whose name has not been preserved. Scattered along the Coosa River are many evidences of very aboriginal occupancy. Near Choccolocco Creek, three miles southwest of Oxford on the Carver place is a large isolated mound. The site has not been identified. In the southwestern corner of the county, on Coosa River at the influx of Cane Creek is a large village site, where chipped implements and pottery are quite numerous. This is the location of Tali of De Soto’s time. Several sites are noted above this point, but none are associated with any places of historic times. 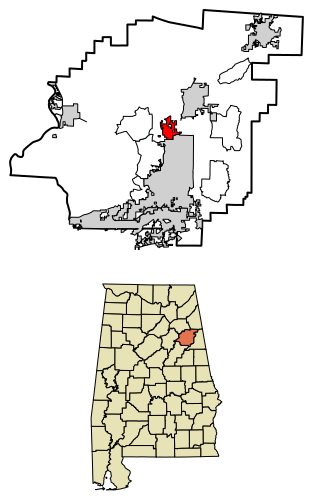 Anniston, in the foothills of the Appalachian Mountains, is the county seat for Calhoun County. Founded in 1872 and incorporated as a city in 1879, Anniston was a company town, built by the Woodstock Iron Company. In fact, the town was not opened for general settlement until 1883. Anniston was the first city in Alabama to be lighted with electricity in 1882. Glencoe is located in southern Etowah and northern Calhoun counties in the northeast section of the state, bordering the city of Gadsden. Glencoe began as a farming community. The community began to grow after a rock quarry located in the area in 1853 and began to build around the Louisville and Nashville Railroad that also had come through the area. 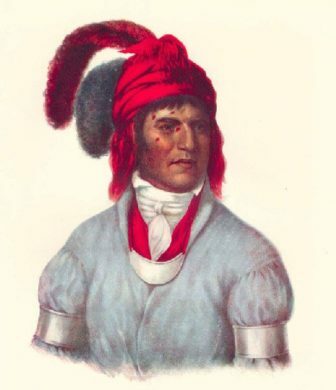 Jacksonville was founded in 1833 on land purchased from Creek Indian Chief “Du-Hoag” Ladiga. First called Drayton, the town was renamed to honor President Andrew Jackson in 1834. There are a couple Civil War monuments in town, including a statue of Major John Pelham in the city cemetery and a statue of a Confederate soldier in the middle of the square. Jacksonville served as the county seat for Calhoun County until the 20th century when it moved to Anniston. Jacksonville State University was founded here in 1883. Jacksonville arose on the site of a Native American settlement. In its early days, the town was known as Drayton and then as Madison. It became the seat of Benton County, and a courthouse was constructed in 1833. (Benton County would be renamed Calhoun County in 1858. Founded in the early 1850s, Oxford was the first city in Calhoun County to be incorporated, in 1852. The name “Oxford” was due to the presence of a narrow crossing of Choccolocco Creek that allowed farmers to ford cattle from one side of the creek to the other. 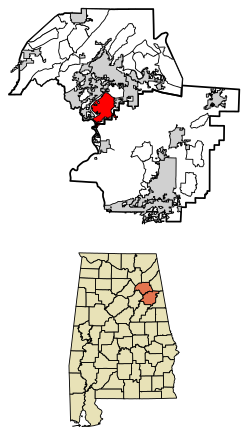 Piedmont is a city in Calhoun and Cherokee counties in the U.S. state of Alabama. Piedmont is located primarily in Calhoun County, although part of the city also is located in Cherokee County, in the northeast part of the state. The population was 4,878 at the 2010 census. It is included in the Anniston-Oxford, Alabama Metropolitan Statistical Area. The area now known as Piedmont is a community that began in the early 1840s, located at the crossroads of two early post roads. Major Jacob Forney Dailey of North Carolina came to Alabama in 1848 and bought land in present-day Piedmont. Major Dailey named the area Cross Plains, and an official post office with that name was established on September 22, 1851. The Chief Ladiga Trail, part of the longest paved bicycle trail in the nation, runs through Piedmont. The 33-mile (53 km) trail stretches from the Alabama-Georgia state line to Weaver. The Chief Ladiga is on the same rail corridor as the Silver Comet Trail in Georgia as far as Piedmont, Alabama. From there it parallels an abandoned Southern Railway line for a few miles west of town until it leaves the old Seaboard rail line, heading south on the Southern Railway route until the trail ends just north of Anniston. In 2008, the Ladiga and Silver Comet trail were connected. A new gateway marks the connecting point at the state line. Now that the Chief Ladiga and the Silver Comet trails are connected, there is a 90-mile (145 km) paved corridor for non-motorized travel from just west of Atlanta, Georgia to Anniston, making it the 2nd longest paved trail in the U.S (the longest being the Paul Bunyan State Trail in Minnesota). Weaver is a city in Calhoun County. At the 2010 census the population was 3,038. It is included in the Anniston-Oxford, Alabama Metropolitan Statistical Area. The town was incorporated on August 16, 1899. Records from an Alabama newspaper, The Peoples’ Journal, described the municipality as “the only municipality controlled and governed entirely by colored people anywhere in the United States.” The newspaper further commented, “The whole country will doubtless be interested in the result of this experiment.” Under the leadership of the first mayor, S. L. Davis, and the first police chief, James Duran, police protection was restored to the area. The town was named after Richmond P. Hobson, a white naval hero and member of Congress. At the 2010 census the population was 771. 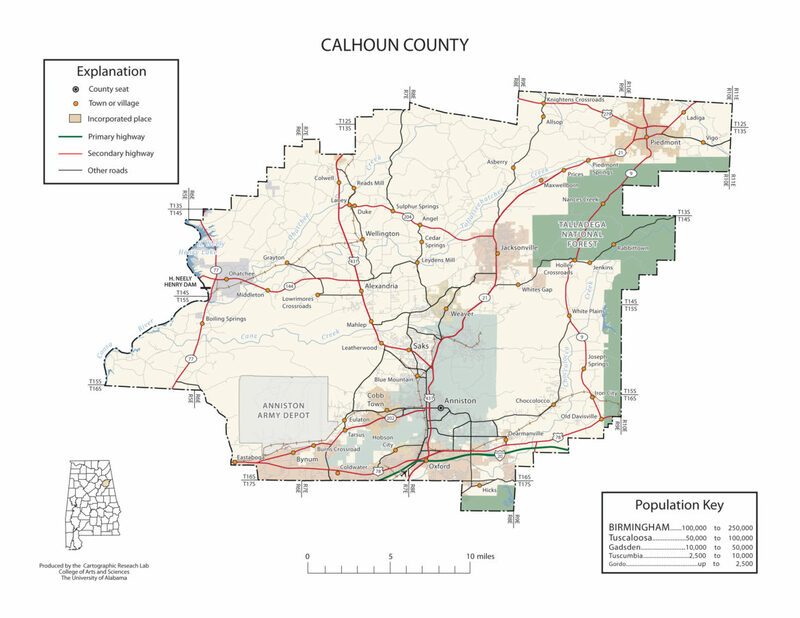 Ohatchee is located in Calhoun County in the northeastern portion of the state. The area around Ohatchee reportedly was used by General Andrew Jackson as a staging area for the Battle of Talladega during the Creek War. During the Civil War, nearby Janney Furnace, built to produce pig iron for the Confederacy but never used, drew raiding Union Army troops. Finding the furnaces unused, the soldiers left them largely untouched. Ohatchee was incorporated in 1956. Cartoonist Tom Sims, who co-wrote the comic strip Popeye from 1938 to 1955, was born in Ohatchee. The Calhoun County Courthouse is a historic county courthouse in Anniston, Alabama. It was designed by Atlanta architect J. W. Golucke and built in 1900, when the county seat of Calhoun County was moved from Jacksonville. It is one of the earliest Neoclassical courthouses in Alabama. An annex with a jail was added on the north side of the building in 1924. The courthouse was rebuilt after a 1931 fire, albeit with a slightly different clock tower.